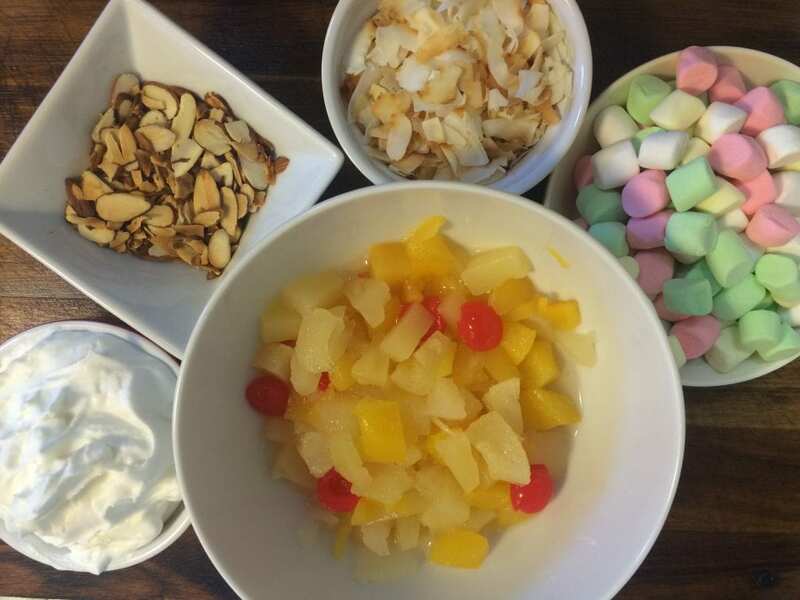 This easy-to-make Fluffy Marshmallow Fruit Salad can be prepared and refrigerated up to 36 hours before your Easter festivities. Fold, serve, and your Easter dessert is ready! I have been so busy with my work and life in general that I had not realized the impending holiday. Easter, or Pascua , is here! Here is an easy-to-prep, easy-to-make recipes that can be made ahead of time… because who doesn’t like easy. Am I right, moms? ? 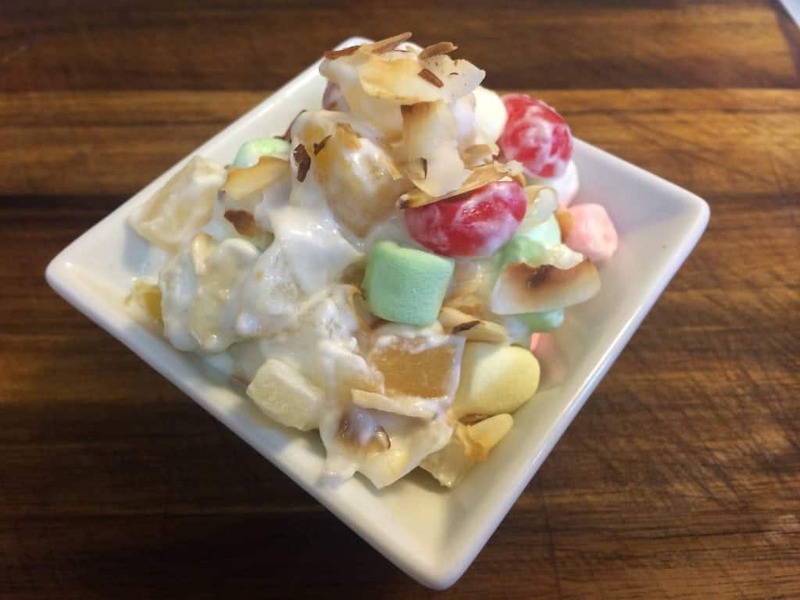 Insert this Easter Dessert – Fluffy Marshmallow Fruit Salad for the win! 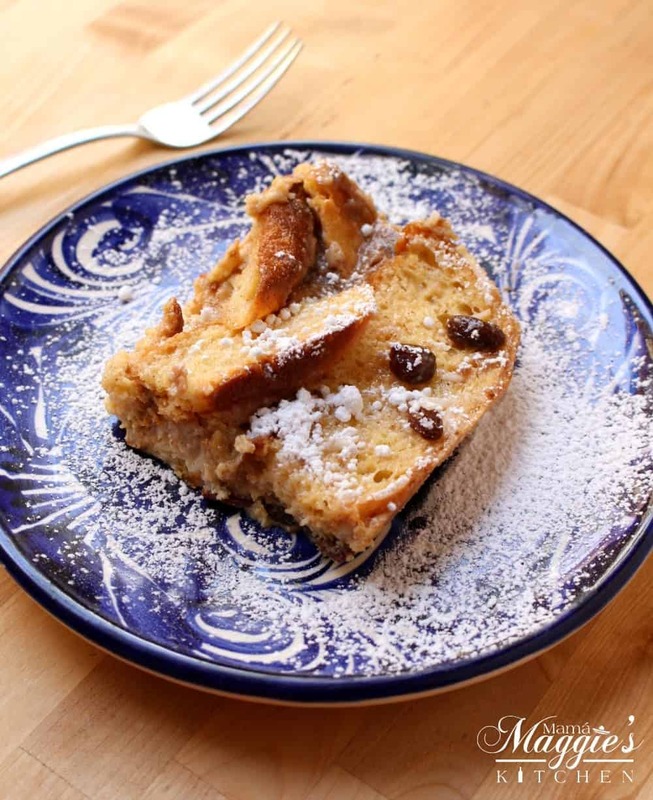 My childhood Easter favorite is the traditional Capirotada (or Mexican bread pudding), which is hands-down one of my favorite recipes of all time. Sometimes, though, you just gotta shake, shake, shake it up. I’m an (ehmmm…) 80s baby. Nothing says 80s like big hair and Michael Jackson’s “Thriller” and this Easter dessert. Fluffy Marshmallow Fruit Salad takes me back to my childhood. All the moms, aunts, grandmas would pull out their best Easter recipes. This one was always there.  Get all your ingredients ready. This Easter Fruit Salad comes together very quickly. Please know that some people call this salad “Ambrosia.” Seriously guys, I had no idea. This, of course, makes me wonder if we took this salad from our friends in the north and adopted it as ours in Mexico… Hmmm? I’ll have to research the origin. 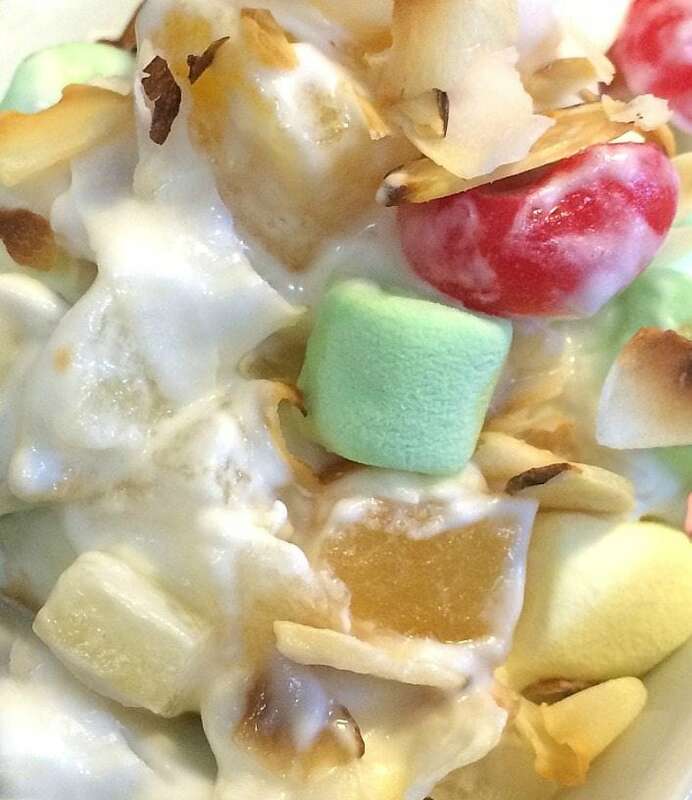 Fluffy Marshmallow Fruit Salad makes me happy… almost as happy as getting puppy kisses. Sweet and soft.  It is hard not to love this Easter dessert. Similar to Arroz con Leche and Flan, you can make this Easter recipe in advance. Then take it out when you’re ready to serve. 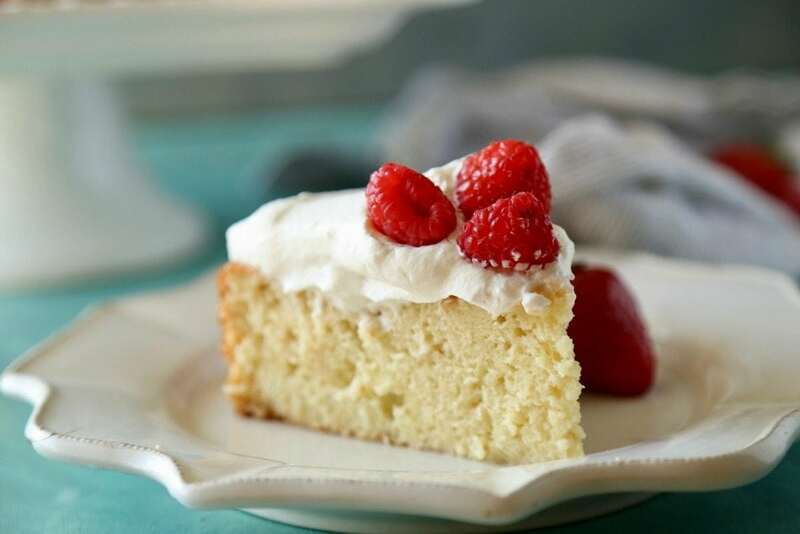 I made some small changes to this family classic by adding Toasted Coconut Chips and by making a homemade almond whipped cream. DELICIOUS… iMuy delicioso! This Easter Fruit Salad is extremely versatile. You can add some or all of these ingredients. It is very similar to Ensalada Navideña (or Mexican Christmas Fruit Salad), but that recipe is made primarily with apples. You don’t want to make anyone sick. Refrigerate this Easter dessert until ready to eat. Even after you serve it, be sure to return it to the fridge or set the serving container on ice. It can keep in the fridge for up to 36 hours. I do not recommend freezing this Easter recipe. Be sure to pin this recipe for later. Out of all the Easter recipes out there, this one has a special place in my heart and childhood memories. I also love that you can make it your own by changing up the ingredients. This Easter fruit salad only comes out during Easter and Lent. Just like Buñuelos (or Mexican Fritters) only comes out during Christmas time, and Rosca de Reyes is only eaten on King’s Day. Even if it is not the Easter holiday season, you can easily enjoy this easy dessert all year long. I mean… who doesn’t love easy and yummy recipes?! Hope you enjoy! Don’t forget to follow me on Facebook, Instagram, YouTube, Pinterest, and Twitter. 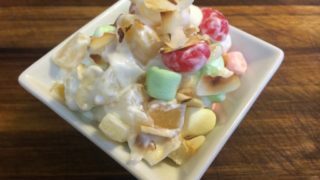 This easy to make Fluffy Marshmallow Fruit Salad can be prepared and refrigerated up to 36 hours before your festivities. Fold, Serve, and Enjoy this fluffy amazingness! In large bowl place heavy whipping cream and whip on Med-High until thickened. Add Almond Extract and 1/2 of Powdered Sugar and continue whipping for 1 - 2 minutes. Add rest of Powdered Sugar and whip until ripples form in whipped cream (1-2 minutes). Careful to not over whip. If your whipped cream starts to break from over whipping add a bit more cream and beat again until smooth. Fold in Fruit Cocktail, Marshmallows, Toasted Coconut and Toasted Almonds until incorporated. Top with toasted coconut and almonds for color and serve. This post reminded me that I have to figure out what I’m bringing to our friend’s annual Easter brunch this year. We have a lot of food restrictions between all of us so it’s always a challenge to find something that satisfies everyone. Happy Easter! Ambrosia is one of the dishes that reminds me of my grandma. She would always make it for family gatherings and it always disappeared quickly! 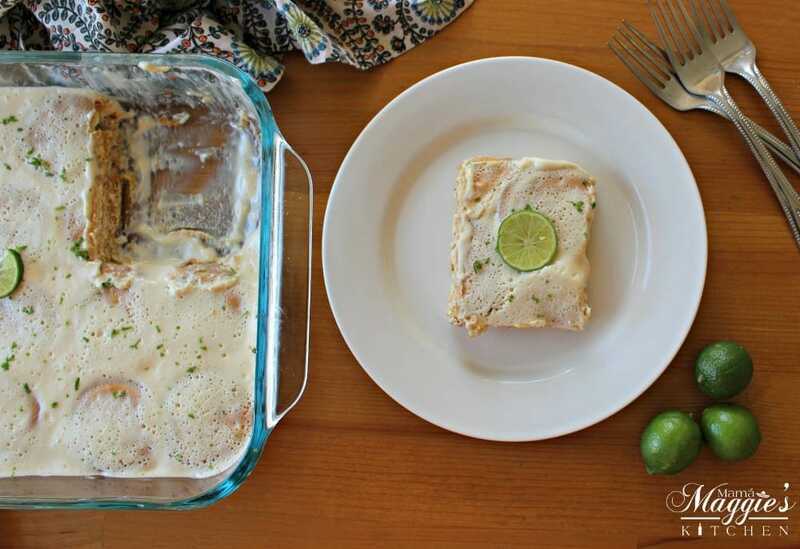 This recipe brings me back to my childhood and the dishes my Nana would make. Yum! I always love fruit salad with marshmallows in it! Topping it with toasted coconut is a great idea!